This week’s Your News to Know is here with the weekly roundup of the latest news stories involving gold and the overall economy. 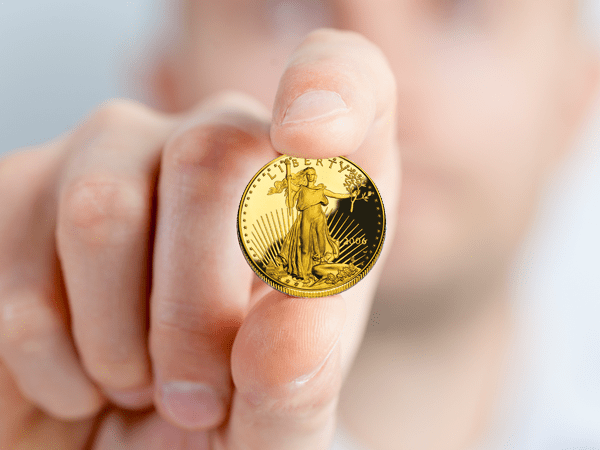 Stories include: 5 reasons why Americans should continue to buy gold, why gold is being snapped up around the world, and how Stanley Druckenmiller is poised to “make a killing” on gold. In particular, concerns over Trump’s actions and policies are causing more and more people to turn to the yellow metal for protection. As publisher Frank Holmes told USA Today, those who own gold will be one of the groups that benefit the most if Trump follows through with his proposed trading sanctions. The threat of new tariffs being placed on U.S. trading partners like China has many bracing for a ripple effect that would result in higher prices on imported goods in U.S. stores such as Walmart, Target and Home Depot. “The collateral damage could be massive to economic growth,” said Holmes. Newsmax contributor Ed Yardeni agreed that gold can provide great protection against a number of calamities, including a global trade war. Yardeni also noted that the metal can do well regardless of Trump’s results in office. People can’t seem to get enough of gold – despite having a historically inverse relationship with stocks, the yellow metal is riding a three-month high amid record stock prices. As USA Today’s Adam Shell explains, concerns from both the U.S. and other corners of the globe are gripping the markets. Due to a combination of lower bond yields and higher inflation readings, capital preservation is becoming increasingly difficult for domestic investors – in an environment such as this, Frank Holmes points out that gold’s non-yielding status becomes a perk instead of a drawback. Holmes also takes note of the fears of some over proposed trading tariffs which could harm U.S. consumers through higher prices, resulting in a spike in inflation and an economic slowdown. Europe is facing a potential shift which could cause an even bigger influx into gold. Aside from populist uprisings, some worry about the European Union’s ability to stay whole if more countries leave; presidential candidate Marine Le Pen has already stated that France will leave the EU if she is elected. Frank Holmes says that this gives gold even more luster and the potential to jump higher, just as it did during the Brexit scare. Razaqzada added that gold could surge higher if the soaring stock market suffered a big enough decline, which would add to the fear level on Wall Street. Those who follow Stanley Druckenmiller and know of his bullish gold position were likely surprised when the money manager moved out of gold following Trump’s victory. Yet it didn’t take long for Druckenmiller to rekindle his relationship with the metal, citing currency instability as the main reason. “I wanted to own some currency and no country wants its currency to strengthen,” he said. According to MarketWatch’s Mark Decambre, any person making bets on the continuation of the rally in stocks should take note of Druckenmiller’s actions. As Decambre explains, while gold rising alongside stocks is an oddity, the metal’s rally is built on strong foundations: between rising inflation expectations, shrinking yields, a weakening dollar and global geopolitical uncertainty that threatens to destabilize the eurozone, people have no shortage of reasons to make a play on gold. This pessimistic picture has led pundits and financial bloggers to forecast big returns for gold, with Daily Reckoning writer Greg Guenthner predicting a 20% rise for the metal over the coming weeks.